Two round diamonds echo the beauty of the diamond you select in this endearing ring setting. 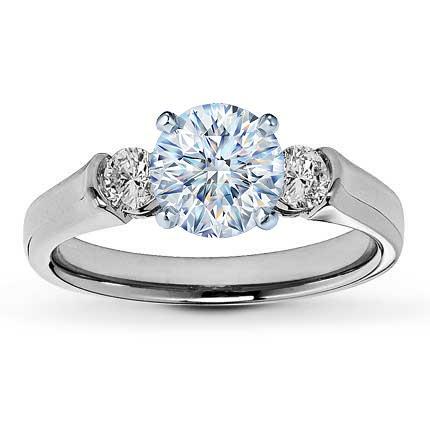 Styled in 14K white gold, with one quarter carat total diamond weight. Center diamond sold separately. Available online while supplies last. Diamond Total Carat Weight may range from .23 - .28 carats.